The Children’s Therapy Services Sleep Support Program educates parents looking to establish healthy sleep habits for their children and offers help for exhausted parents and family members searching for a solution to their child’s sleep troubles. Our certified child sleep consultant will work with you over the phone, online, or in person, help you establish a healthy foundation for sleep or to create a comprehensive plan to resolve a current sleep difficulty. Are you searching for clear and simple answers? We are here for you! CTS Sleep Support will work with you to create a comprehensive sleep plan using evidence-based methods to improve your child’s sleep habits; a plan that you’ll be comfortable with and confident about implementing. In addition, our child sleep consultant will support you along the way. From naps to nights, we can help any infant or child struggling to get the rest they need. CTS Sleep Support wants to help your child achieve the highest quality sleep so that your family can be its best each day. Our child sleep consultant, Liberty Mahon, is certified by and a member of the Family Sleep Institute and follows the American Academy of Pediatrics’ Safe Sleep Guidelines. She is also a certified Special Education teacher and has over 15 years of experience working with young children, including infants and toddlers with special needs. 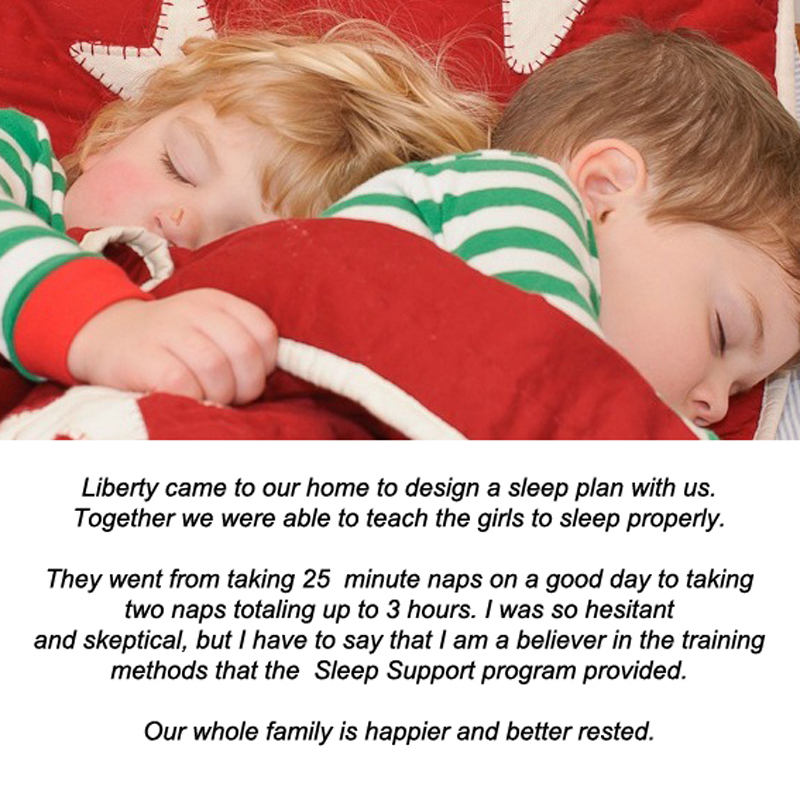 Liberty is able to combine her knowledge of infant and toddler development with her knowledge of sleep behavior to create an appropriate plan for your child. As a special education teacher, she is able to customize plans to appropriately suite children with special needs and is able to understand the special circumstances related to having a child with special needs. 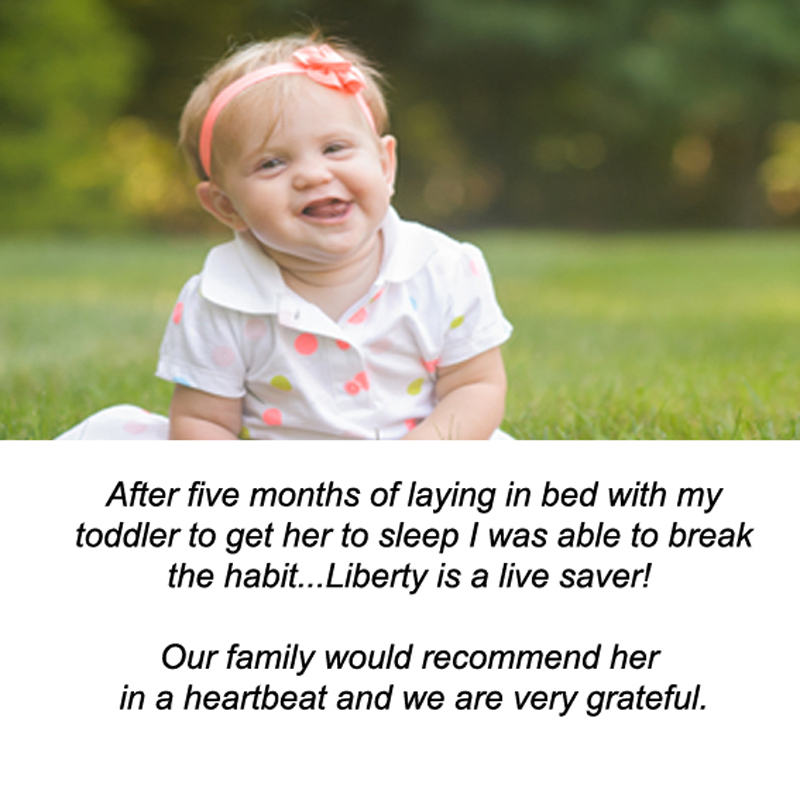 Please contact Sleep Consultant Liberty Mahon via email or call 203-240-0063 for more information and to start receiving our expert help; so that your family can start getting the valuable sleep you all need.